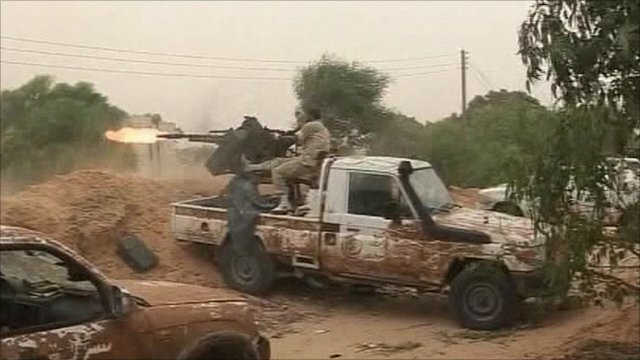 Libya's NTC forces gain in Sirte Jump to media player Interim government forces in Libya say they have captured Sirte's main hospital and the university area of the city. 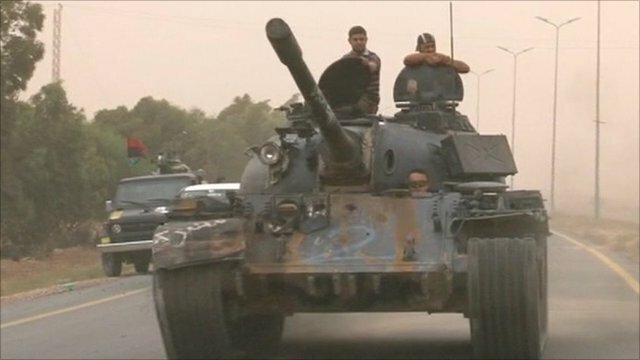 Street fighting rages in Sirte Jump to media player Street fighting has raged in Sirte for a second day as troops loyal to Libya's transitional government confront the remnants of ex-leader Col Muammar Gaddafi's forces. 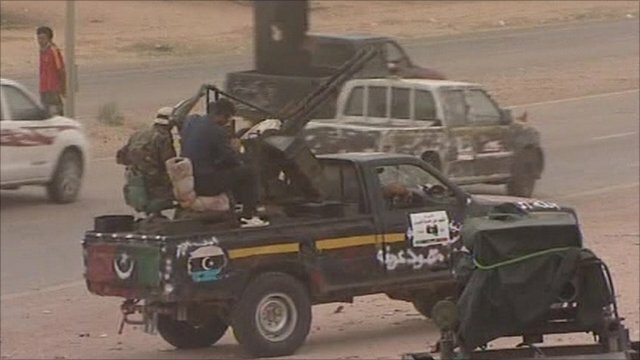 Fight for Gaddafi's home town goes on Jump to media player Commanders say they are mounting fresh tank and artillery attacks on areas still held by Gaddafi loyalists. Forces mass for Sirte offensive Jump to media player Interim authority forces are massing outside the Libyan city of Sirte, ready for a fresh assault on the pro-Gaddafi stronghold. 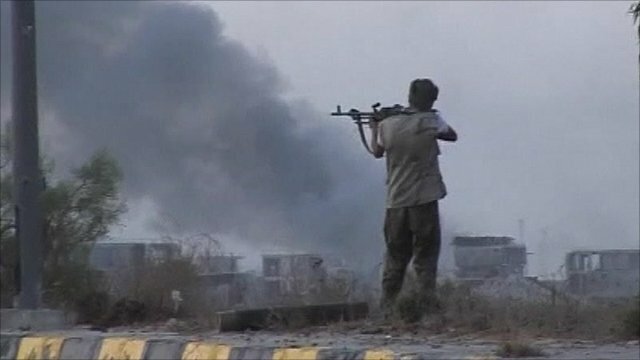 Sirte bombarded by more shelling Jump to media player Fresh shelling has been heard in the Libyan city of Sirte, as interim authority forces renew their offensive in the face of fierce resistance. Interim government forces in Libya have made significant gains in the battle for the city of Sirte - hometown of the fugitive leader Col Muammar Gaddafi. National Transitional Council (NTC) commanders said they had captured the main hospital, the university and the Ouagadougou conference centre. But heavy street fighting continues around Sirte city centre. Wyre Davis reports from Sirte.